The concentration of America’s wealth may be reaching a point where any further gains for the top 1 percent must literally come at the direct expense of everyone else. 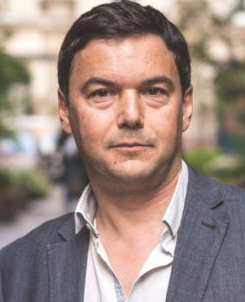 The exquisitely succinct equation at the heart of Thomas Piketty’s best-selling Capital in the Twenty-First Century — r > g — has impressed readers worldwide. Just three symbols. Even Einstein, for his masterwork, needed five. Piketty’s core principle: The rate of return on the investments the wealthy make will normally be greater than the rate of growth in a nation’s economy and total wealth. Piketty considers the three decades right after World War II an exception to his rule. In those anomalous postwar years, the French economist explains, the rebuilding required after Europe’s destruction generated a rate of growth, g, not sustainable in the long term. In more normal times, Piketty believes, r > g will drive ever-increasing concentration of wealth at the top — unless tax and other policy choices impose sufficient constraint on that concentration. Few nations in the world today, unfortunately, are supplying that constraint. And they may be why we now could be living through an inflection point in the concentration of America’s wealth that helps explain our current political turbulence. Let’s review here how r > g operates as wealth concentrates. If the deep pockets of a nation’s top 1 percent are holding 10 percent of that nation’s wealth and are achieving investment returns (r) twice the overall rate of growth (g), then 20 percent of that country’s increase in wealth would flow to the top 1 percent. That 20 percent would constitute an outsize share of the nation’s economic growth, but the everyone else could probably live with that. The bottom 99 percent, after all, would still be receiving 80 percent of the country’s growth in wealth. But as the wealth share of a top 1 percent increases, that bottom 99 percent would inevitably start feeling an increasing pinch. Consider what happens when the top 1 percent wealth share reaches 25 percent. At that point, the 1 percenters would be collecting 50 percent of the country’s growth in wealth. Under Piketty’s principle, the ultimate in pressure would arrive once 100 percent of our imaginary country’s growth in wealth started going to the 1 percent. At that point, the rate of return on the investments the wealthy make could continue to exceed the nation’s overall economic growth rate only if the wealthy started taking away wealth from the 99 percent, by encumbering that wealth with increasing levels of household debt, for example. Recent data indicate this scenario may now well be the case. Between 2014 and 2016, researchers from the Swiss bank Credit Suisse report, the wealth of America’s top 1 percent jumped by $3.53 trillion, from $32.26 trillion to $35.79 trillion. During the same period, the wealth of America’s bottom 99 percent dropped by $2.52 trillion, from $51.74 trillion to $49.22 trillion. That decrease was borne almost entirely by the bottom 90 percent. Those in between the top 1 percent and the bottom 90 percent about broke even between 2014 and 2016. Data over a short period can be misleading, for a variety of reasons, so another French Revolution-like event, this time in the United States, may not be around the corner. Not yet at least. But the recent wealth numbers from Credit Suisse remain alarming. They suggest that under Piketty’s r > g principle, America may have reached a critical inflection point beyond which the top 1 percent’s wealth gains come at the expense of everyone else. No wonder so many Americans are feeling squeezed — and desperate for change. Desperate enough to elect a Donald Trump. From England: In the 2009-10 tax year, more than 16,000 people declared an annual income of more than £1 million to HM Revenue and Customs. This number fell to just 6,000 after Gordon Brown introduced the new 50p top rate of income tax shortly before the last general election. Increasing the highest rate of tax actually led to a loss in revenues for the British Government. Wealthy Britons took steps to avoid paying the new levy by reducing their taxable incomes. That’s 50% on top of a VAT of 20%. That puts them back close to where the US was in 1980. The US has 11 of these taxpayers for every 10,000 citizens paying over 20% of all our taxes. England only has 1.1 of them, paying less than 5% of their total burden. This huge lopsided ratio is the product of organic growth differentials stimulated and incentivized by tax rate differentials over 36 years – completely missed by the standard regressions run by economists. You are freaking out over us getting a bigger crop of what are essentially our slaves, paying all our taxes, creating all the jobs? free enterprise believes in competition wealthy capitalist do not. (adam smith) from the movie mr micklintock “mr.micklintock respects the law I buy it!. only by stoping poor people from voting and heavy police state tactics can you “preserve” the wealthy and “protect” what they have gotten from others. Continuation of the artificial reality tour. You keep positing that the “rich” aka job creators are negatively interdependent with the rest of us. Nothing could be further from the truth. This is the chicken illusion. If you sit down to share a chicken, if I eat more, you eat less. Economics doesn’t work that way. Job creators can create wealth out of nothing at all other than an idea, a concept, hard work. In doing so, they share wealth with others through the jobs they create and the taxes they pay. In other words, they grow a lot of chickens out of nothing at all and everybody gets to eat. If you are a family of four on food stamps, you are in the top 20% of the entire world in terms of income with just your food stamp income. In other words, you are really rich. And you are rich because of the jobs and wealth created by the top 1%. Since 1980, France has lost 3 billion hours of work adopting and working off the nonsense principles you are spewing while the United States has gained 88 billion hours of work. Thats “about the same rate?” Really? You haven’t even addressed the point being made here. To use the chicken metaphor, sure, we all have created one more chicken out of nothing, but this article argues that you are eating two more chickens, and I’m eating one fewer than I was before. 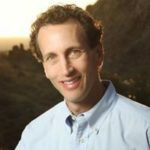 The idea that technology can create wealth out of nowhere is not a complete rebuttal to the claim that the absolute level of wealth going to some fraction of the population is itself greater not just than zero, but than the total wealth created by the entire population, with the remainder coming at the direct expense of other groups. That is, there’s no guarantee that wealth creation necessarily creates Pareto improvements to society, although by definition, it can do just that. So, are the numbers that this article cited correct? Well, they’re probably a little bit skewed toward the wealthy getting wealthier, but not far off. The bottom 80% controlled 15% of all wealth in 2007 and 11.1% in 2013. In 2007, total wealth in the US was around 65 trillion, while in 2013, it was a hair under 80 trillion. If I can still arithmetic, the wealth controlled by the bottom 80% decreased from 9.75 trillion to 8.88 trillion, despite the total wealth in this country increasing by 15 trillion. Inflation (minor though it was) eroded the power of that wealth a little bit further. In fairness, since 2014, based on the numbers I have found, real income to the bottom 90% has still risen, but at a considerably slower pace than income growth to the top 10%; inequality is rising, but a significant number of boats are still rising. If you restrict to the bottom 50% by wealth, they may not be. And income inequality is generally associated with decreased levels of future economic growth, though the reasons vary with the ideological biases of the people writing the papers. People on the left attribute this to Keynesian policies and induced spending (i.e. the marginal vs. average propensity to consume); economists and political scientists on the right attribute this phenomenon to political and economic power concentrating, leading to rent-seeking behavior at the expense of more productive activity. But herein lies the rub – people generally don’t value consumption for the sake of consumption, but rather value utility, which may be, but isn’t always, linked to consumption. A fair bit of work, going back at least 20 years to Fehr and Schmidt’s seminal paper on other-regarding preferences, suggests that (at least in the lab), people are willing to burn some of their own money in order to force a more equitable distribution. Some work in sociology and psychology supports a preference for fairness as well. Which is to say, even if everything you say is correct (itself somewhat dubious), people may decide of their own free will to defy you because they’d be happier doing so, even though it makes them worse off from a material standpoint. Funny how that works sometimes. Maybe people in the United States just like working longer hours, having higher levels of mental illness, stress, poverty, food insecurity, homelessness, and lower levels of socioeconomic mobility than people across the pond. I can’t agree with it, but hey, it’s funny how it works in both directions. Oh, it goes directly to the issues and calculations at hand. The post says that you are eating one less chicken and because the job creator is eating two more chickens. Neither is true. The cause of your eating one less chicken is not the job creator nor is the job creator eating two more chickens. The job creator is reinvesting every penny. Rockefeller lived in a small home and took the subway to work. He just relentlessly worked to reduce the price of oil. Vanderbilt lived very frugally and worked relentlessly to reduce the cost of transportation. The rich getting richer and the poor getting poorer is an Obama era development. The liberal democrats creating jobs for rich people don’t get taxed at all. Bezos hasn’t paid even 5% of the $60 billion he has earned. Buffett hasn’t paid even 1% in taxes on his $60 billion plus earnings. Both of them are creating lots of jobs – for rich people. Taxes don’t apply to them. Meanwhile the people who create jobs for poor people are paying 63% on the margin and don’t have Bezos and Buffett economies of scale to deal with the 170,000 pages of the Code of Federal Regulations. It is a crushing load that is crushing out business creation which is at an all time low. The cause of poverty is a school system that doesn’t work for poor people; the welfare trap and tax rates which are above the maximum yield. That’s why there are fewer chickens for poor people. You can see this in a direct comparison of France and the US. Taxpayers above 240,000 pay 60% of all personal income taxes in the US while taxpayers above $240,000 pay less than 40% of all personal income taxes in France. Picketty’s policy chickens have come home to roost in France. Once the economic powerhouse of the world, they are now an economic backwater with an insignificant 1.4% of the world’s economy where the only way to get a job is to emigrate. Edward, you’ll never reach him. His ego is just too fragile to acknowledge when he has something wrong, whether to himself or others. He even clings to the notion that I was the bad guy three years ago because I didn’t keep his racist views a secret when he was running for statewide office. You’d have to be an idiot to believe there is not some element of this being a zero sum game. Consider what happens when some poor person overdraws her checking account by $2 for a cup of coffee and gets hit with a $35 fee. That $35 doesn’t vanish. It goes into bank profits, which increases the wealth of either wealthy executives or wealthy shareholders, or both. The net result is a transfer of wealth from a poor person to rich people, with the bank serving as a conduit. Read Michael Hudson’s book, Killing the Host, which explains how we’ve effectively returned to a rentier society, except this time with interest taking the place of rent. You have to cherish and hold on to that belief that I am a racist. Because what you did was completely and utterly disastrous for the Democratic party. It backfired on you badly. Clean sweep of every statewide office. That’s what happens when you lie and betray. Look in the mirror. Are you motivated by lifting up the poor or scoring all those clients who come streaming to you for relief from high tax rates? Picketty’s math and logic don’t pass the laugh test. There is a huge desire for fairness in American culture. Its what has driven us as a nation from our very beginnings. Fairness is the fabric which holds us together. However, it is one thing for us to tax the rich to elevate the poor, it is another for us to tax the rich to destroy the rich and to use those tax revenues trap and destroy the poor. This is really an argument about the proper structure of taxation, i.e. what is the revenue maximizing tax rate and struture and what is the proper structure of welfare.